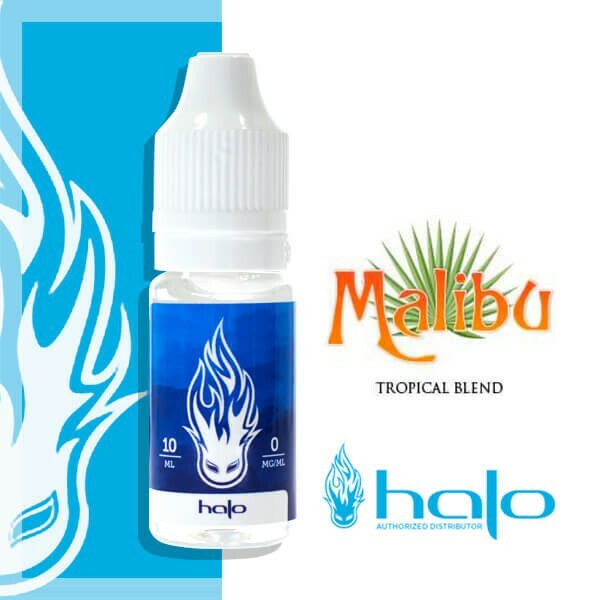 Halo Malibu menthol e-liquid harbours a menthol flavour like a Pina Colada, a mixture of pineapple and coco, with an aroma that is mild and pleasant that conjures up the feeling of a holiday on the beach! very refreshing. Vraiment pas déçu des saveurs.